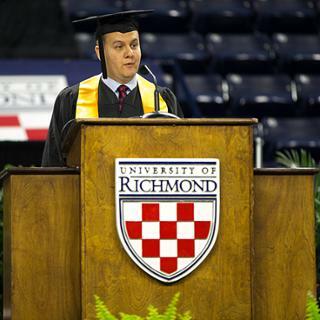 Lisa Cheney, C’17, was selected to represent graduating students as a student speaker at University of Richmond School of Professional and Continuing Studies Commencement Exercises held Saturday, May 6, 2017. 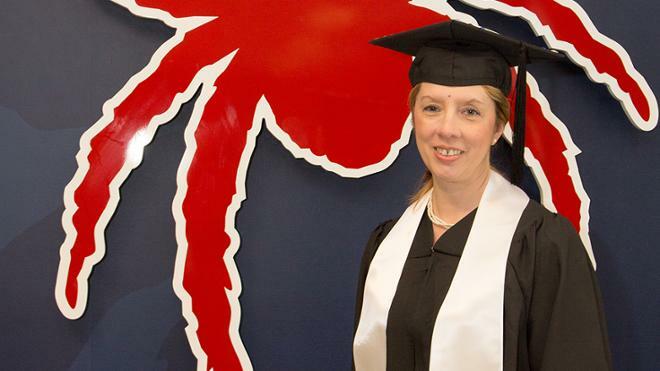 In many ways, Cheney represents a typical SPCS student: someone who works full time, returns to school by testing the waters with a noncredit professional development experience, and earns the degree by taking one class at a time. While no two students’ experiences are ever the same, this pathway represents a common experience among SPCS students. Cheney’s involvement with the University of Richmond started in the Institute on Philanthropy, where she earned a professional certificate in fundraising. Starting with a professional development course of study, she discovered she liked school and was pretty good at it. So she enrolled in an SPCS undergraduate degree program in 2009 and has taken one or two classes each semester to earn the 120 semester hours required for the degree. Graduation represented a considerable milestone for Cheney, given the years of work it’s taken to get to this point. But Cheney has not simply studied at SPCS — she’s thrived. She has served on the SPCS Student Government Association (SGA) Board of Directors for nearly all of her years at SPCS, even serving as president from 2012-2014. In her role on SGA, she’s served as a student representative on the University’s Board Development Committee, as a member of the President’s Council and the Dean’s Advisory Board, and as a member of the Strategic Planning Committee for the University. In addition to being named as Commencement student speaker, itself a high honor, Cheney also received the Colonel (U.S.A., Ret.) 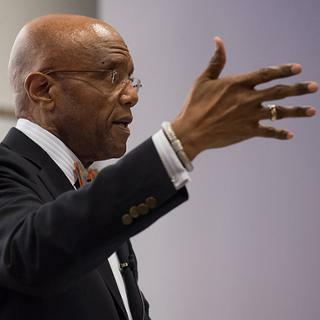 Porcher L. Taylor, Jr., Ph.D. Book Award for Community Leadership. That path of self-fulfillment is precisely the path Cheney has taken herself. 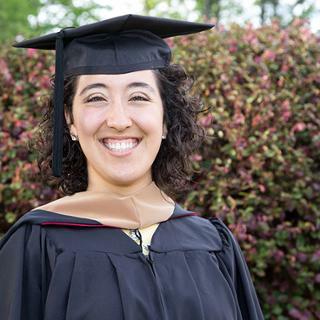 In earning her fundraising certificate, in serving the School through SGA, in advancing to director of donor relations with the Sheltering Arms Foundation, and in graduating with her Bachelor of Liberal Arts, Cheney has demonstrated exactly what she calls on her fellow students to achieve: being the best version of herself she can be. And her education journey isn’t over yet. She’s applied to enter the School’s Master of Nonprofit Studies program in the fall. Because continuing down the path of self fulfillment is never really complete.